A preview of a documentary made by a young German director, Ingo Biermann, about one of the most compelling, distinctive and original artists today, and for a little decade already : Maja Ratkje. She is a singer, a composer, a sound sculptor, name it. 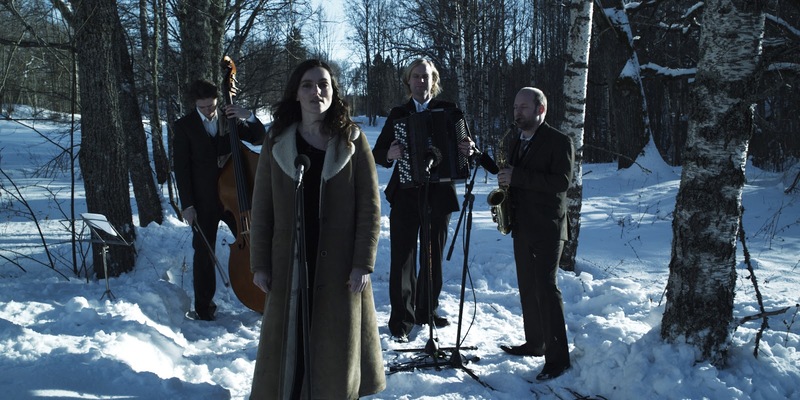 On this demo, we can see some other fine musicians as diverse as Arve Henriksen, Joëlle Léandre, Frode Haltli (above pic with the accordion) or Stephen O'Malley (Sunn O))), a.o.). What seems particularly interesting here is the successive and simultaneous mix of musical moments (live, studio, rehearsal) with the everyday family life, and vice versa, which gives the strong impression that both 'dimensions' are intimately linked in Maja Ratke's universe. A very promising foretaste of the full production which will be released in 2012.